Interim superintendent Bob Nelson reads to fourth-graders in Heather Noa's class at Thomas Elementary School as part of Read Across America Day March 2. Nelson joined guest readers from in and outside the district to celebrate and encourage reading in honor of Dr. Seuss' birthday. Fresno Unified classes joined thousands of students across the country participating in Read Across America activities February 27 through March 3. Pictured with Nelson are, front row, front to back, Crystal Murphy, Omario Body, Preston Nicasio and TyJon Clemons; second row, front to back, Melina Orozco, Star Vang and Dorian Mothershed; and in back, Leah Tom. Fresno Unified School District reiterated its commitment to serving all students, regardless of their immigration status, approving a "Safe Place School District" resolution on a unanimous vote at the March 8 board meeting. Fresno Unified is excited to announce that enrollment is underway for pre-kindergarten/preschool, transitional kindergarten, and kindergarten for the 2017-18 school year. The district launched a new system in February for notifying parents and guardians quickly of a campus emergency. Rapid Alert sends a text message to the cell phones of parents, guardians and emergency contacts if an incident occurs on campus that will disrupt the school day or require an early dismissal. Parents who missed the opportunity to "opt in" in February can still register. From their cell phones, parents simply text the word "YES" to 67587 to receive future notifications in the event of an emergency at their child's school. The cell phone used to subscribe to Rapid Alert must match the emergency contact information on file at school. To learn more, visit www.fresnounified.org. The district's summer school, Expanded Learning Summer Program, is gearing up to keep students on track for graduation while preparing them for post-secondary education and workplace success. Storey Elementary School student Sharleen Her was disappointed in her fourth-place finish last year at her campus' spelling bee -- not good enough to advance her to the district competition. The Local Control Accountability Plan (LCAP) is the district's plan detailing how it will use Local Control Funding Formula (LCFF) state funding to improve academic outcomes for all students. The plan describes the district's goals, actions and expenditures for the next three years. More than 140 meetings have been conducted with the Fresno community to receive input on the LCAP. A draft of the document for the 2017-18 school year will be available for review online beginning April 5. 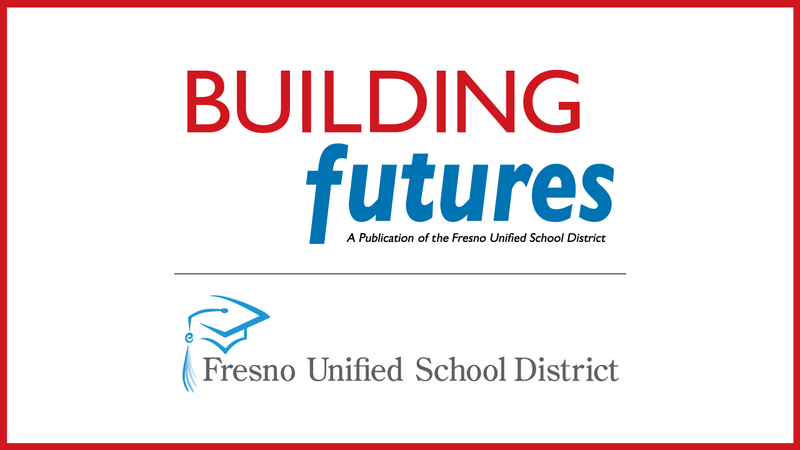 The community is invited to review the draft and provide feedback before the final document is approved by the Fresno Unified Board of Education in June. Information on the plan can be found at www.fresnounified.org. Students at Manchester GATE Elementary School collected 348 new and gently used teddy bears along with other stuffed animals to help children in crisis. New buildings are rising at Turner and Figarden elementary schools as part of the district's Measure Q projects. The Center for Advanced Research and Technology (CART) Summer Academy will be held June 12-16 from 8-11:30 a.m. The academy offers incoming fourth through seventh grade students the opportunity to participate in hands-on learning experiences. The labs offered are Builders' Workshop, Drama & Performance Art, Game Design, Lemonade Stand Micro-business, Mini-Med School, Movie Magic, Optical Illusions, and Robotics. The cost is $199 for applications completed by June 5 and $250 for applications completed after June 5. The deadline for applications is June 9, although space is limited. Visit cart.org for more information or call (559) 248-7400. During the regular school year, CART offers a half-day program for juniors and seniors specializing in hands-on pathway learning in a variety of career areas. CART is a joint project of the Fresno Unified and Clovis Unified school districts. Plans are moving forward to relocate Design Science Early College High School to a permanent facility at Fresno City College.